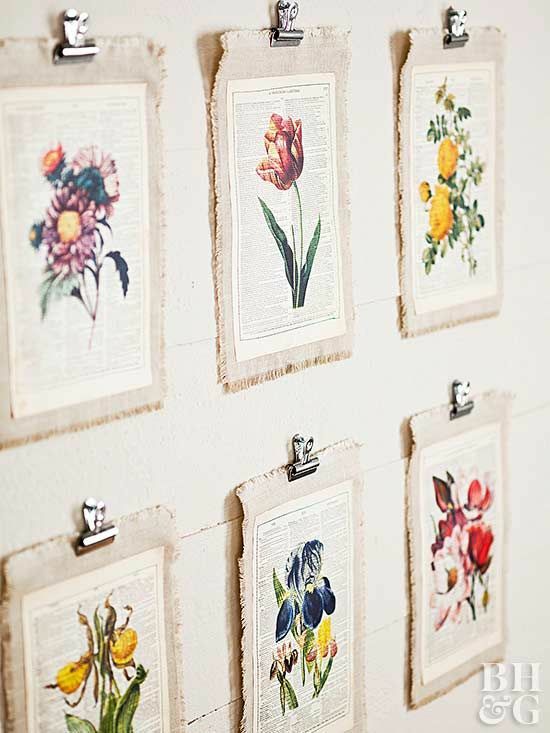 Here’s another vintage vibe wallpaper – it reminds me a little of the writing paper we used to collect as children. 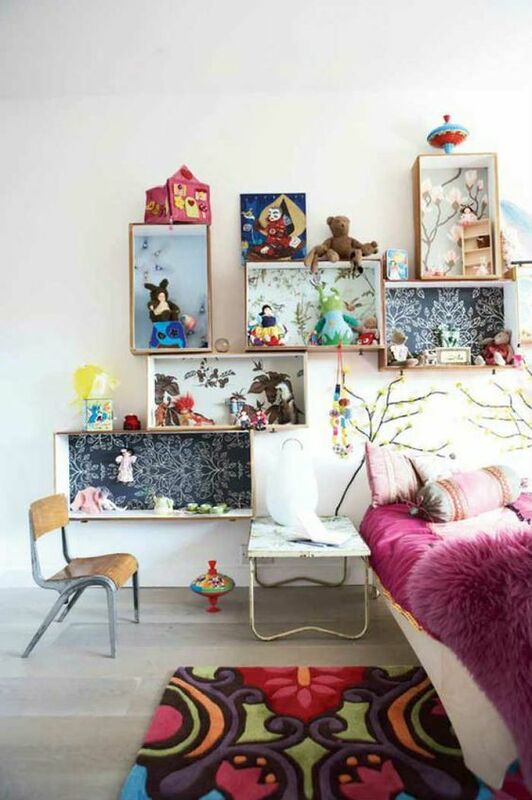 What i do like is how it’s a clever use of a small wall and also means that there is no need for a headboard. Pic from here. 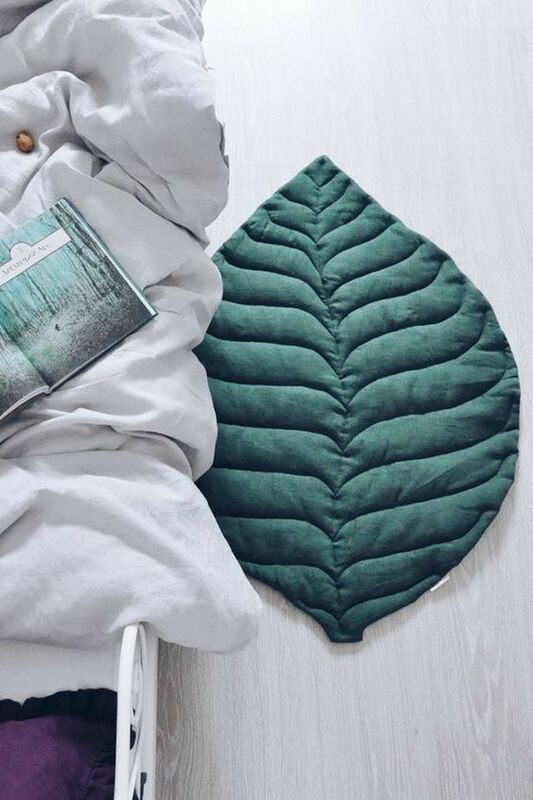 This leaf floor mat (and its cousins including a pinecone) is all over Pinterest at the moment. It’s super cute and you’ll find it here on Etsy. Wouldn’t a protea one be sweet? 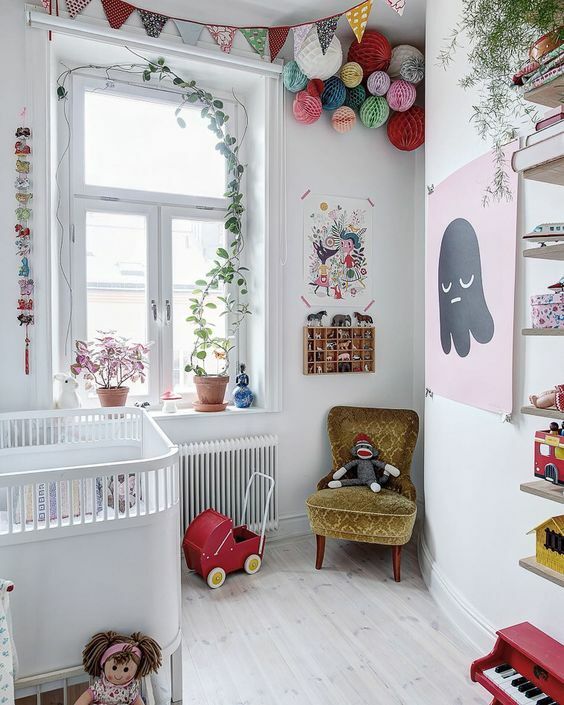 Love the thought of creating a whimsical bedroom for your littles? Then a creeping plant like this is a must! 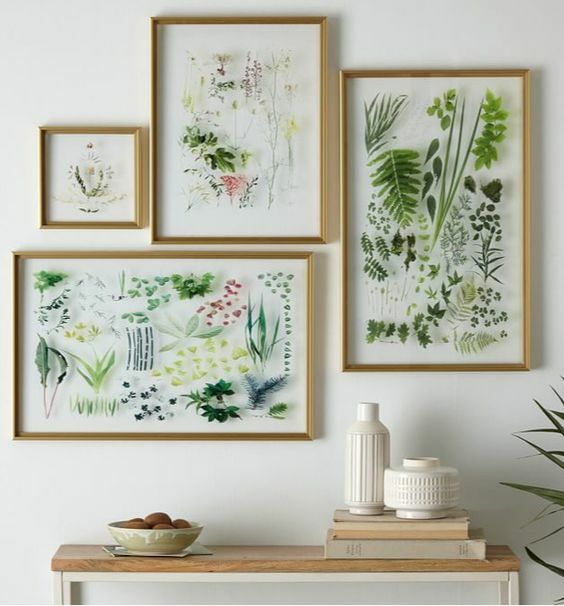 I absolutely love pressed flowers and plants – especially when they are framed! 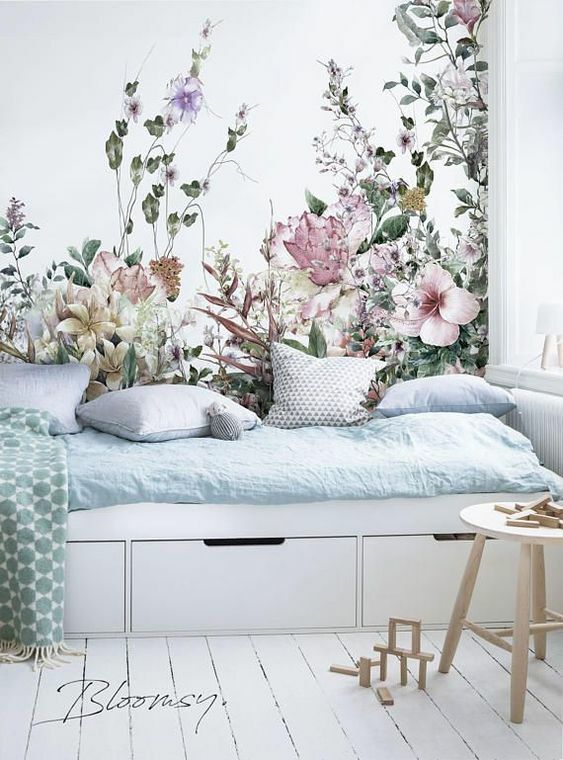 Isn’t this arrangement amaaaazing?! 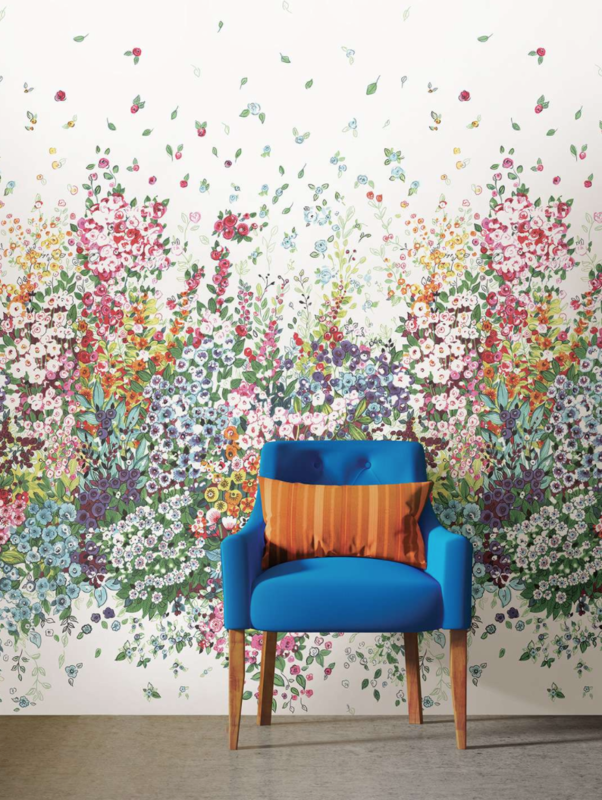 This whimsical wallpaper is just wonderful, don’t you think? 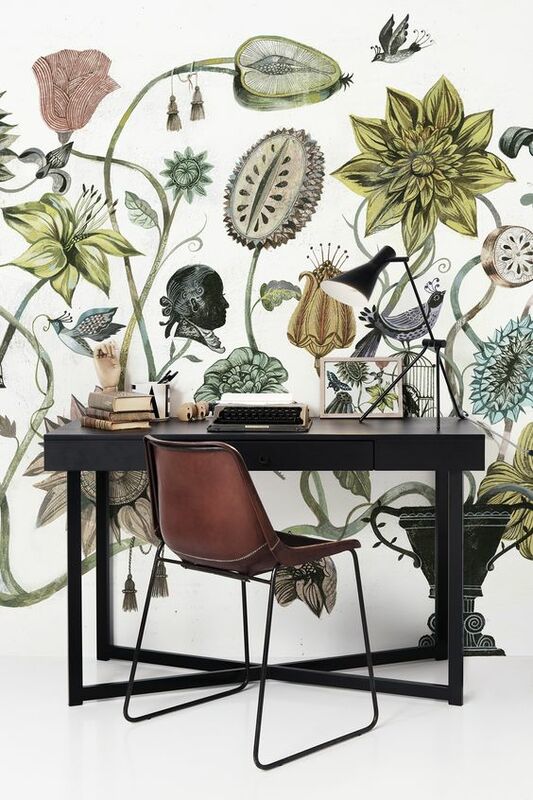 It’s by Bloomsy who sell removable wallpapers off Etsy. 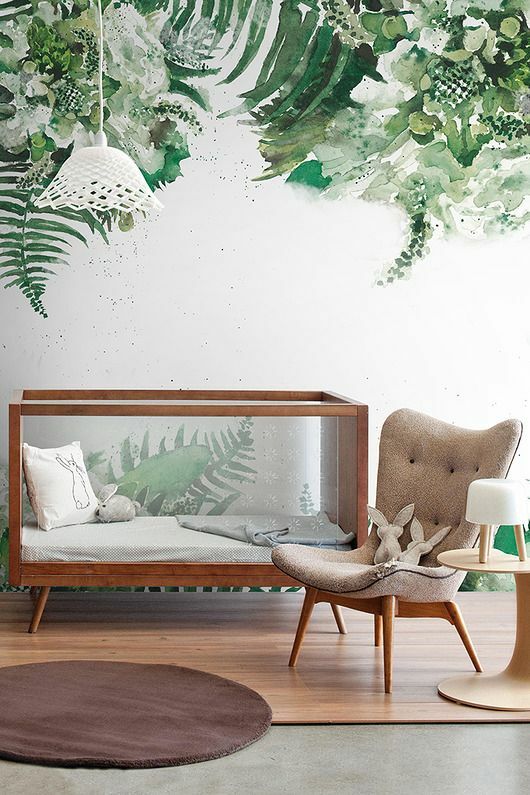 I can’t begin to explain how much i love this watercolour installation – so peaceful and elegant. 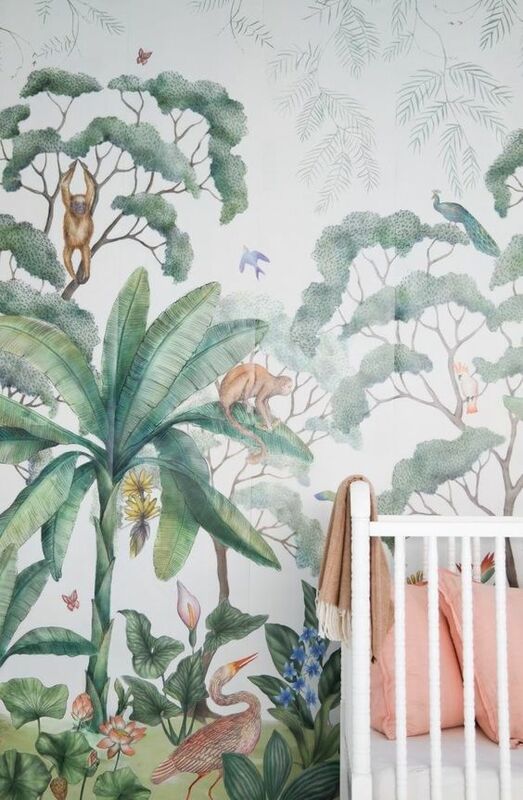 I found it on the Wayfair wallpaper website. Happy Monday lovelies, here’s a great start to the week! I absolutely love the first wallpaper, any idea where it comes from? 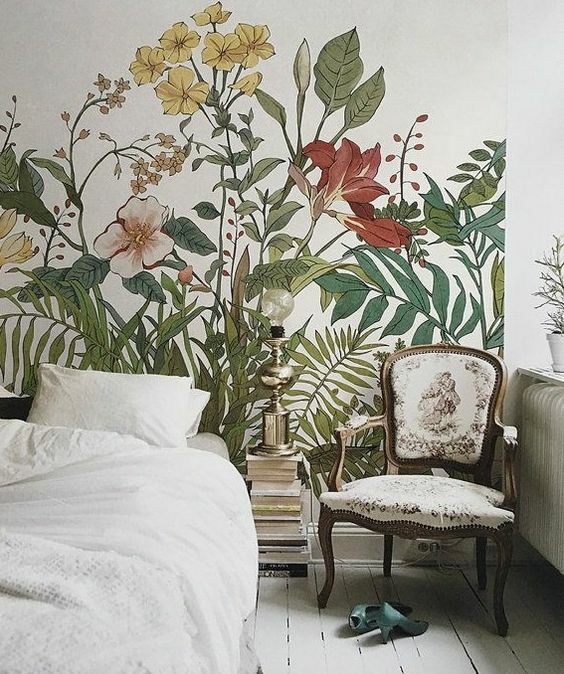 Those oversized floral/ tropical wallpapers are so doing it for me. I love the boldness. I do hope that it doesn’t go too commercial.